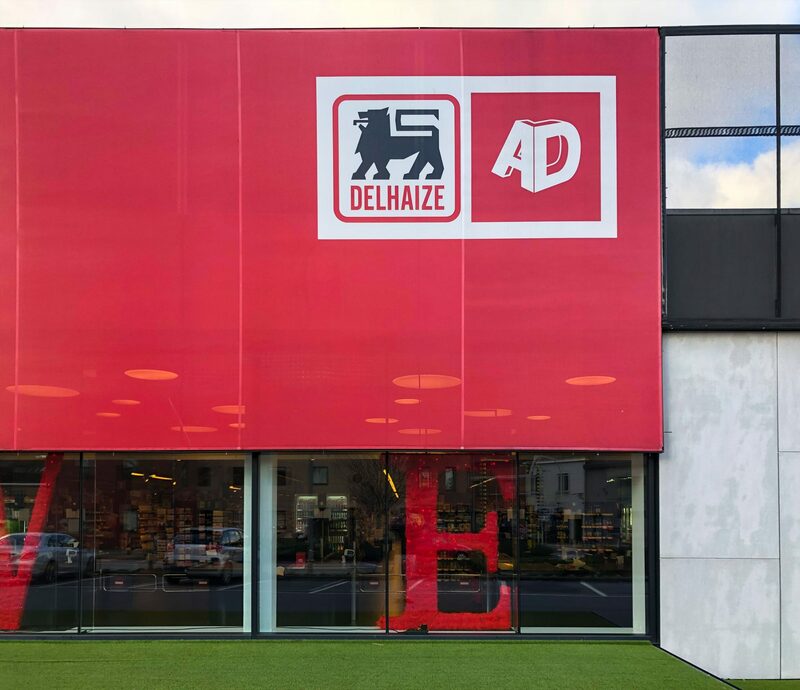 AD Delhaize in Merelbeke (Belgium) is a nice reference regarding the use of architectural substrates that are needed in custom solid colours (with additional branding). 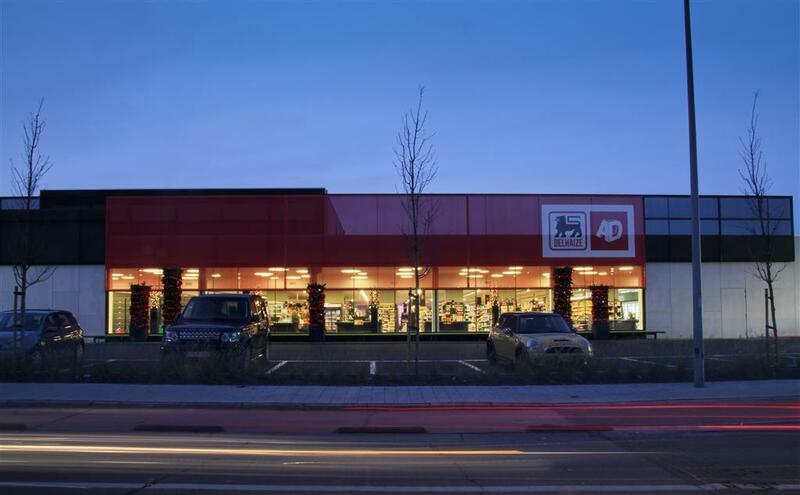 Our on demand printing technique enables us to match any desired color, e.g. 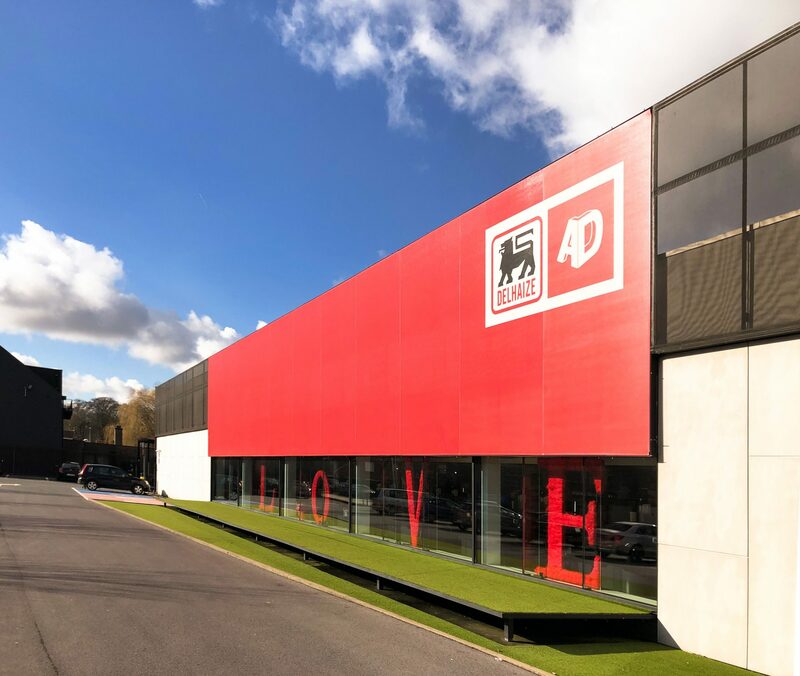 RAL colours, quickly produced and for any quantity without restrictions. 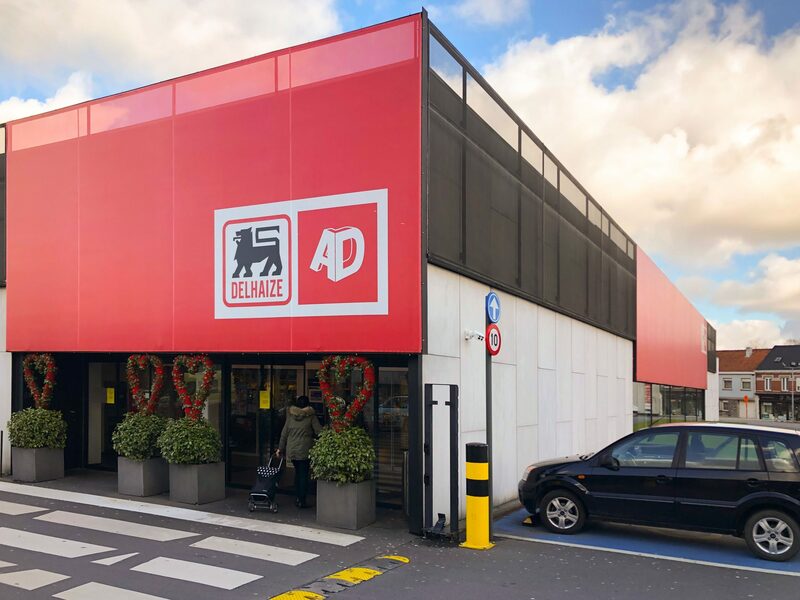 Without a minimum order quantity and fast delivery, the facades of AD Delhaize are easily branded to a recognisable appearance. 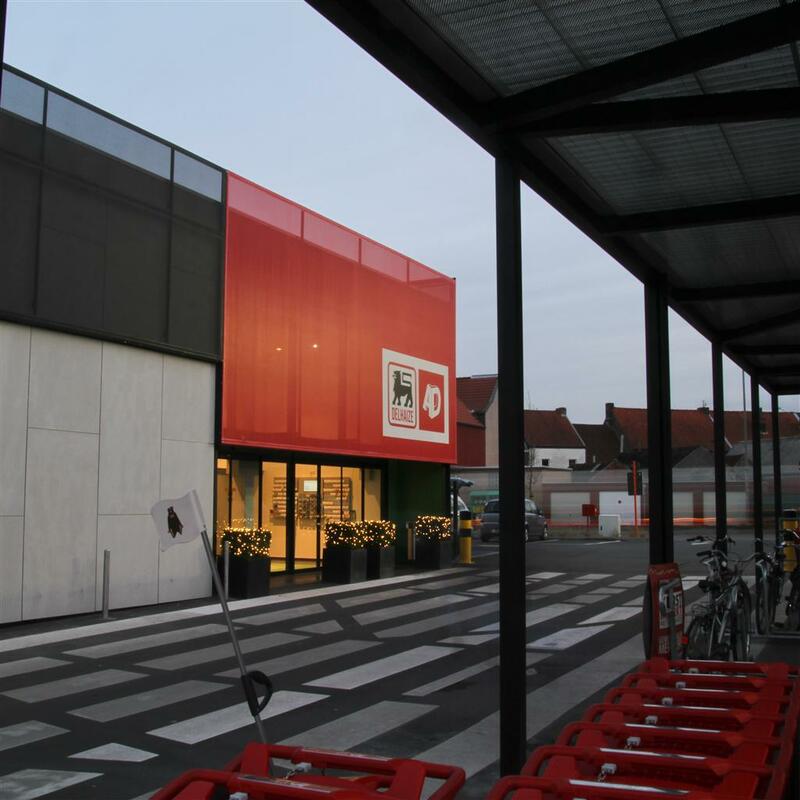 And because of the lightweight and cost effective construction and the reduction of energy consumption by climate control systems this facade has clear benefits.